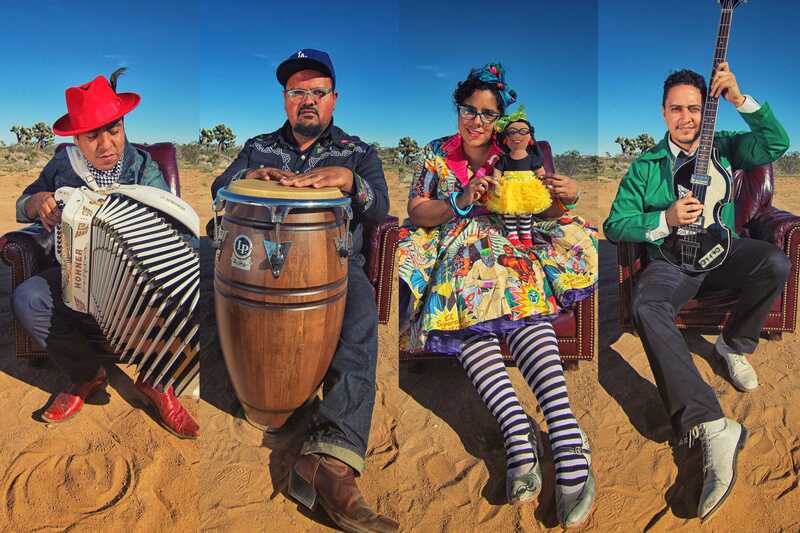 While most bands stick to a modern popular sound to reach a broader audience, the East Los Angeles based Mexican-American band, La Santa Cecilia, decided to incorporate lyrics in Spanish and fuse traditional Latin American music with their own sound. Directly connecting with the Spanish speaking community of L.A., they are now taking over the rest of Latin America with four released albums, a Grammy award and an upcoming audiovisual project. The influences of the band range from jazz and rock to traditional and folkloric Mexican music. Their lyrics, on the other hand, promote Latin American culture and raise awareness of political issues affecting the immigrant community in the United States. The band is currently composed of lead singer Marisol Hernandez, accordionist Pepe Carlos, percussionist Miguel Ramirez and bassist Alex Bendana. 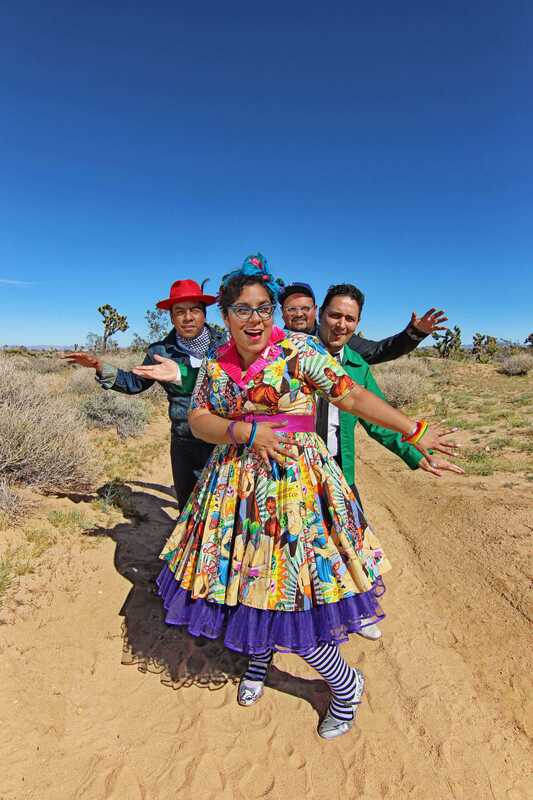 Before their performance at the VPAC on Feb. 18, Bendana touched upon the background of La Santa Cecilia’s music ranging from the roots of the band, their achievements and the current projects they are working on. He also provided insight on how the current political climate has affected their music. Bendana: La Santa Cecilia is a band from L.A. formed 10 years ago. We’re all children of immigrant parents. We’re all bi-cultural kids who grew up in L.A. with a diverse community listening to all sorts of music, eating all sorts of food, and when we met, we were all into music. We had the same desires and goals to write our own music and tell our stories, where we come from and all this bi-cultural experience. Has the band been awarded for your music? Bendana: We won a Grammy for our album “Treinta Dias” in 2013 for best Latin-Alternative Urban album and we’re actually nominated for our latest album, “Buenaventura,” this year. Now that you mention the albums, when the band created them did you guys follow a thematic concept in terms of lyrical or musical content? Bendana: It’s a little bit of both. We don’t like to engage ourselves in one style of music. Pepe loves the norteño music, I like jazz, Marisol listens to rock and Cuban music. The inspiration for lyrics comes from our living and what we see in our communities. Has the recent political climate affected your music or your personal lives? Bendana: Whatever is happening to the immigrant community is always affecting us. Right now everybody is in a state of alertness and trying to figure out how to keep it together and raise our voices against these issues that are happening. For sure it affects our music, especially in our concerts. We like to remind people that it’s important to raise our voices and participate in our society for a better world. Since you’re going to play in front of an audience composed of university students, what advice would you give to them for their education? Bendana: Education is more important now more than ever when it’s so expensive and so hard to come by. As Latinos, we need to try to choose careers that are going to represent us in a positive way. Is there a community that responded positively to your music that the band thought it would never reach? Bendana: We’ve been fortunate that our music has resonated with so many people around the world from all backgrounds. Mexico is accepting the music really well, they understand the connection we have with them. Colombia has responded very well, too. We were number 13 in one of their stations. We actually just did a show in Tampa [Florida] and people there didn’t understand Spanish so much, but they felt the music and that’s what it’s about. Transmitting that energy in the music so that everyone can feel it. What is the opinion of La Santa Cecilia on other contemporary music from Latin America? Bendana: We don’t like to discriminate music that much. We’re always open to any style of music. When you do it right, music, style, and lyrics, people are just going to connect no matter what style of music it is, which is also what the band is all about. What can your fans expect from the band in the near future? Bendana: We’re currently working on our sixth album, “Amar y Vivir.” It’s basically traditional music like rancheras and boleros. In a way we are going back to our roots. 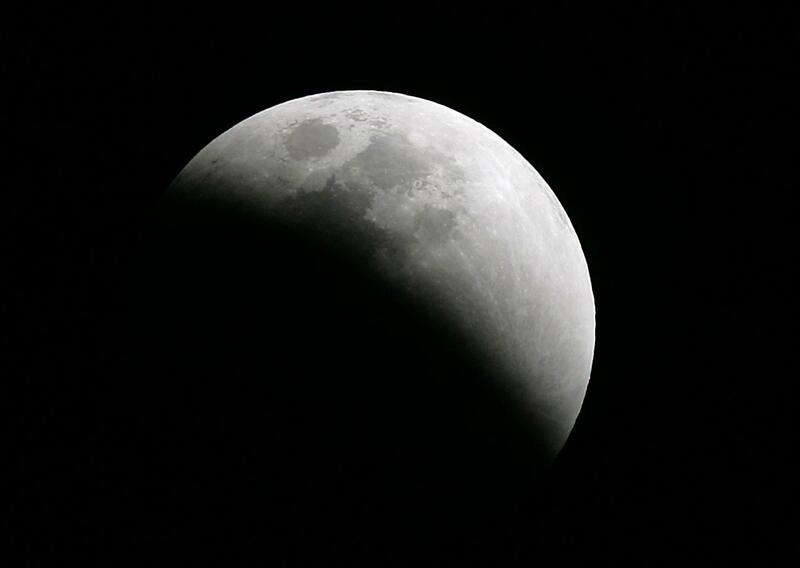 It’s an audiovisual album and we recorded it live in Mexico City. There [are] 12 songs from composers like Jose Alfredo Jimenez, Violeta Parra and Julio Jaramillo. We recorded live in 12 different locations. Each place had its own energy, its different vibe and I think you’re going to be able to hear it and see it as well because we also caught it on camera. It’s something we’ve never tried before and I’m hoping people will connect with it because it is so emotional. Tickets are available on the VPAC website.